Snowfall: 0.1” – October snowfall isn’t reliable enough down at our elevation to be factored much into the seasonal assessment, but this October was on the weak side, with just a tenth of an inch of snow, vs. the mean of roughly an inch. One small feather in the cap of 2012-2013 is the fact that the first accumulating snow fell on October 12th, which beats out 2010-2011’s October 15th snowfall by three days, and now represents the earliest measurable snowfall I’ve recorded here at the house since I started monitoring the weather in 2006. Snowfall: 6.3” – November snowfall came in just a bit below average this past season, so certainly not remarkable, but notable in that it was probably about as average a November as we’ve seen. 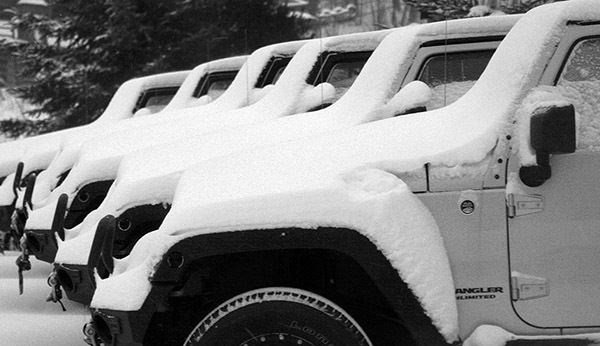 November has typically been feast or famine when it comes to snow. 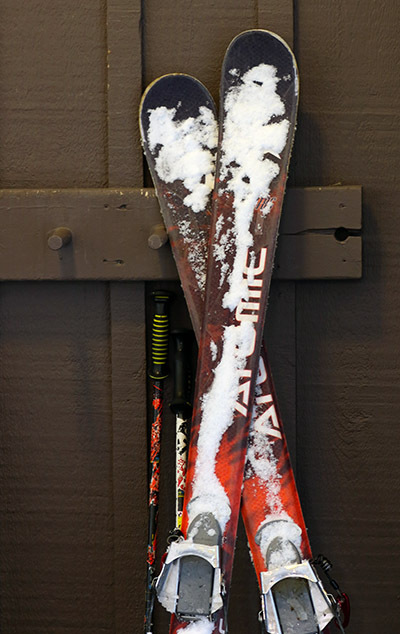 We actually had a total of five snowstorms in November, but a small to moderate storm of 4.4” at the end of the month contributed the bulk of the monthly total as well as some of the first great skiing of the season in the mountains. 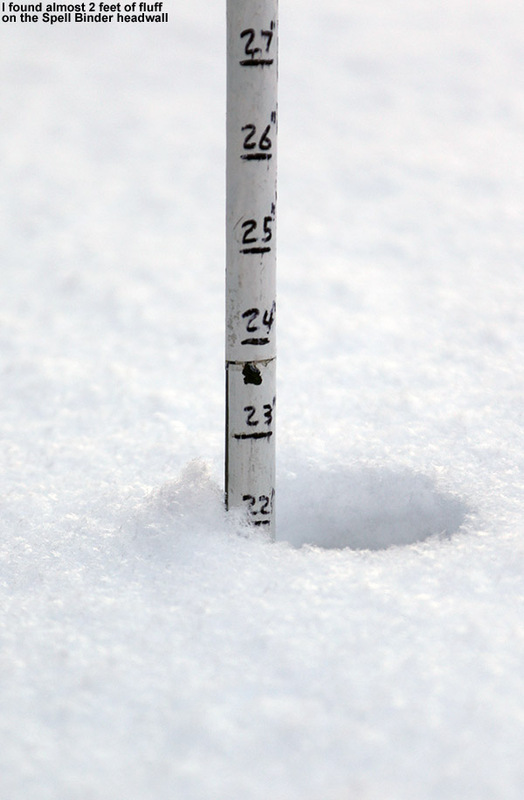 Snowfall: 49.5” – December held the first lengthy, redeeming snowfall period of 2012-2013. Although the first half of the month was extremely poor on snowfall (just 2.2” of snow at the house), from the 16th of December onward, temperatures got cold and snow came in for a dramatic change; close to 50” of snow fell on us in the second half of the month, and as a whole the month actually wound up several inches above average. We received our second (15.5”) and fourth (11.7”) largest storms of the season during that stretch, right near Christmas and just a few days apart, so needless to say, the snow was there to set quite the holiday mood in the valleys and up above on the slopes. Snowfall: 21.9” – January continued that good, snowy weather pattern in its first week, albeit to a lesser degree than December, but unfortunately that modest first week ultimately wound up representing roughly half of the month’s snowfall. The second week featured a couple of substantial thaws with no measurable snow, and in fact we received no accumulating snow at all for the period between January 7th and 16th, a very long stretch for the mountainous areas of Northern Vermont during the winter. The third week of January offered just a few small systems, and the fourth week was arctic cold with minimal snow. The final week attempted to recoup the losses with a modest half foot storm, but it was too little too late – the month ended with just 21.9” of snow, by far the lowest January in my records. The combination of very low snowfall and two January thaws was very deleterious to the valley snowpack – after coming down from the depths achieved in December, the snowpack depth at our location never even reached 10 inches again during the month, and got as low as 3.0 inches. That is ridiculously close to losing the winter snowpack in January, definitely the closest we’ve come based on my records since 2006. Snowfall: 31.4” – February was again below average in snowfall, partly due to the continuation of the dry arctic pattern in the first week, and it wound up missing the mark for the lowest February in my data set by less than an inch. Although that persistent dry pattern didn’t make for a very snowy first half of the month, our third largest storm of the season (12.6”) hit in the second week. It was still a rather modest storm, but at least it did break that one foot mark for accumulation at the house. By the end of the third week of February, the snow depth at the Mt. Mansfield stake actually poked above average for the first time in about a month and a half – but it was only by a couple of inches, and it quickly went back below average as the snowpack sat there essentially stagnant for an entire month. On February 21st, the snowpack was at 65”, and roughly a month later on March 18th, it was still at 65”, without any major consolidation of more than a few inches. That’s stagnant. Our snowpack at the house languished similarly, never even getting above 10 inches of depth during that stretch – and that’s a time of year when it is usually building to its peak of the season. The carryover of the low snowpack from January also set the lowest mark (3.0”) for snowpack that we’ve ever seen in February. Snowfall: 30.8” – Although certainly not approaching what we saw in the second half of December, the last part of the winter/snowfall season was the other relatively bright spot to mention. This was aided by our largest storm of the season, which delivered 21.3” during the last third of the month. That storm was the only real standout for the month however. It did bring March above average in terms of snowfall, but only by roughly six inches, and the resulting monthly total really ranks in the middle of the pack for Marches in my records. The fact that the snowpack in the area around our snow measurement stake at the house was barely hanging on around mid month was certainly disconcerting, but the snowpack did recover somewhat with the help of a modest mid-month storm, that big storm at the end of the month, and reasonably cool temperatures. 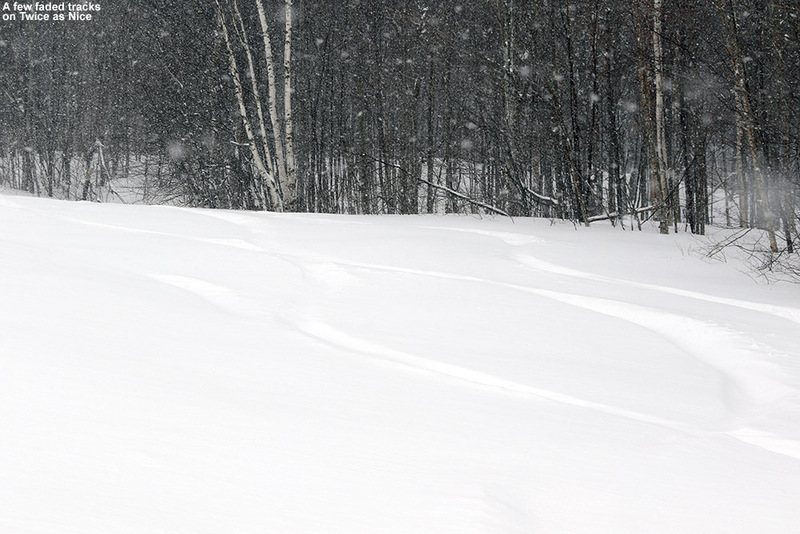 Snowfall: 4.2” – April was even a couple inches below average for snowfall, but temperatures stayed cool enough to keep the winter season rolling along, and that’s what really helped make the period wintrier. We didn’t have any notable April snow accumulations down at our elevation, just a couple of small ones on the 2nd, and again on the 12th – 13th, but the mountains continued to get fresh snow right into mid month to keep surfaces in great form and the Mt. 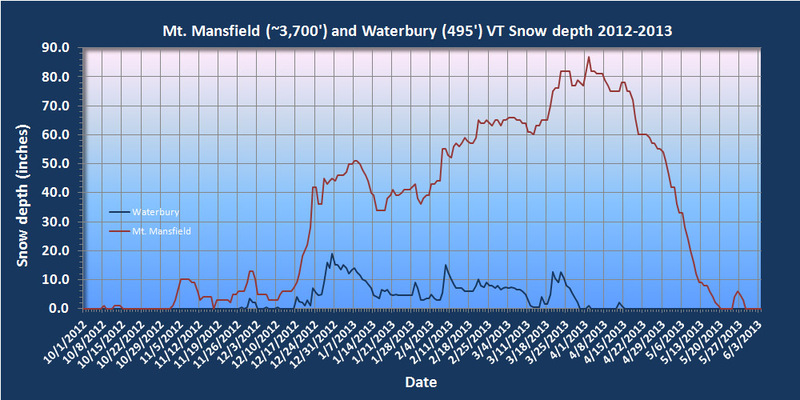 Mansfield snowpack robust. Snowfall: 0.0” – There was no accumulating May snowfall down at the house this season, but that’s not too much of knock on the Month, because not getting snow in May is more the norm than actually getting snow. The mountains did get that beautiful Memorial Day weekend storm though, and the late season powder skiing was mighty fine. Although I can’t factor that directly into the analysis for the valley, it was quite cold in the valleys at the end of the month, and close to even snowing there. 1) Storm frequency and average storm size: Despite coming in below average for snowfall, the 2012-2013 season offered up a healthy 51 accumulating snowstorms, almost up there with the 53 storms we received in 2007-2008. Of course, to come in below average for snowfall with that many storms indicates that the average snowfall per storm was down, and indeed it was. At 2.8”/storm, 2012-2013 ranks down there with 2011-2012 (2.6”/storm), the only odd seasons out compared to the more typical seasons up near 4”/storm. For whatever reason, this season’s average came in on the low side. This is presumably due in part to many of the everyday events being on the small side, but also due to the lack of bigger storms, which is covered in point #2 below. 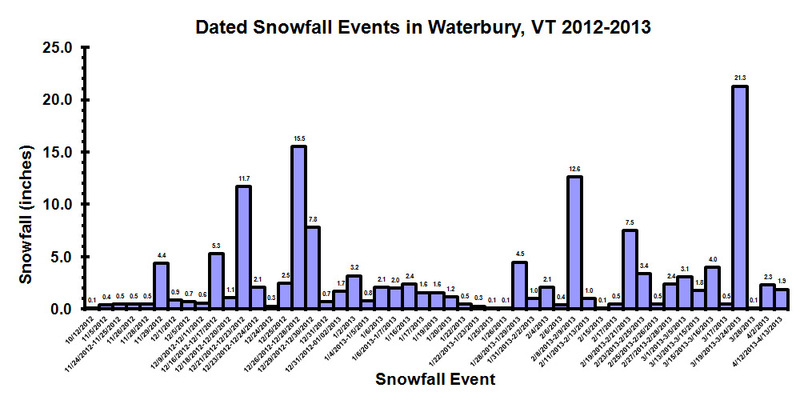 Indeed, if we look at the number of storms with double-digit snowfall by the seasons, we see an obvious trend. 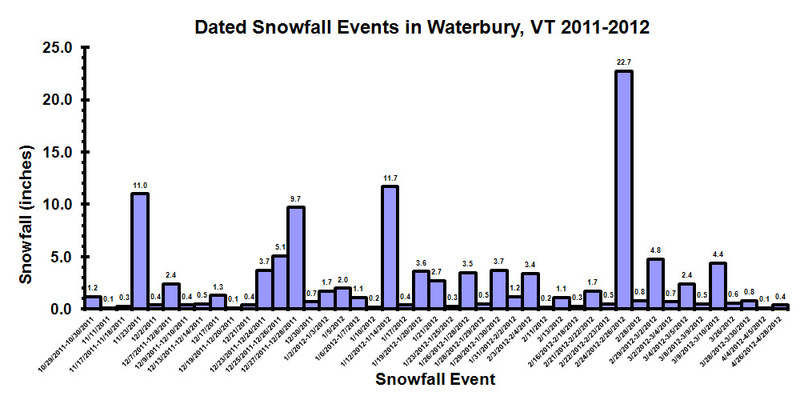 With the number of double-digit snowfall storms listed in parentheses after the season, one notes those “good” seasons – 2007-2008 (6), 2008-2009 (7), 2010-2011 (7) seemed to find a way to exceed five double-digit storms, whereas the poorer snowfall seasons – 2006-2007 (4), 2009-2010 (2), 2011-2012 (3), 2012-2013 (4) just didn’t. Surely the law of averages comes into play here to some degree – seasons with patterns producing lots of snow likely have a greater chance of getting a big storm in here, but that’s not a given. It’s also very suspicious that those seasons that come in sort of in that middling ground like 2006-2007 and our season of interest for this summary, 2012-2013, fall just short of making the cut. I suspect this trend may be more intact in a location like ours because of the relatively high number of storms and snowfall, and upslope snow (which was on the low side this season) as an extra protection against huge snowfall variance, but this is going to be an interesting trend to follow into the future as a gauge of snowfall seasons. In sum, while snowfall was certainly a bit below average, and snowpack was well below average, I’d still give the season a reasonable grade. If C is average, I’d go with a C- for 2012-2013, just a bit off from making the average. Were snowpack a more significant factor in my winter preferences, one could argue for going a bit lower, but at least minimal snowpack was maintained throughout the entirety of the winter to keep everything white. Overall it could have been a lot worse, and with the amount of snowfall we did get, it’s hard to drop the season into the D range, which, based solely on snowfall and snowpack at the house, is where I’d put a season like 2011-2012. 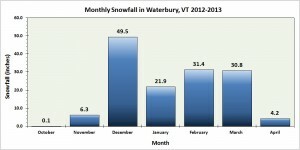 For a complete look at all the data, charts, graphs, and tables from the winter season, head to our Waterbury, VT 2012-2013 winter weather and snowfall summary page. 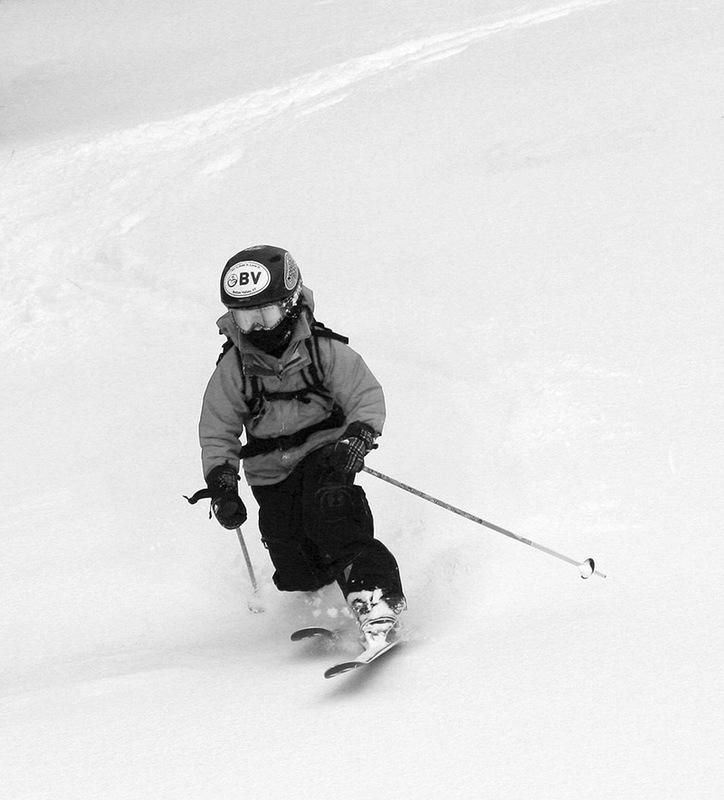 With everyone having their own unique perspective on skiing, combined with the multitude of weather-related factors involved in winter recreation in general, there’s usually ample room for debate about where a ski season sits relative to average. 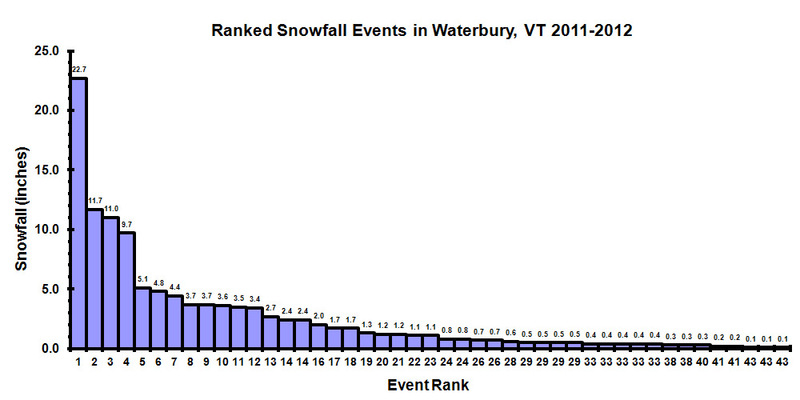 However, when it comes to the 2011-2012 ski season in Northern Vermont (and perhaps to an even greater extent in other parts of the Northeastern U.S.) most any metric would set it firmly in the lower half of seasons. Some key contributing factors to the outcome of the season were temperatures, which were above average for every month from October through May (specific monthly temperature departures are available in the monthly detail section), overall precipitation, which was well below average during that period, and as expected with that combination, snowfall that was well below average. 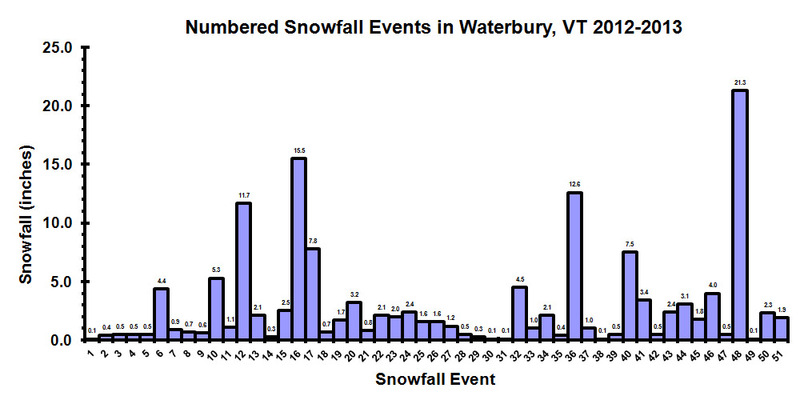 However, the numbers don’t always tell the whole story, and indeed that was the case in Northern Vermont this past season. If numbers aren’t everything, perhaps timing is everything, and the snow machine of the Northern Greens exhibited some impeccable timing for some of the busiest ski periods when it came down to it. There was also a consistency and intensity in backside snows that seemed to heal just about every mixed precipitation event. So while I don’t think that the winter of 2011-2012 can be considered anything but below average around here, the bigger story might just be how “surprisingly good” it was. That story unfolds in the details below. 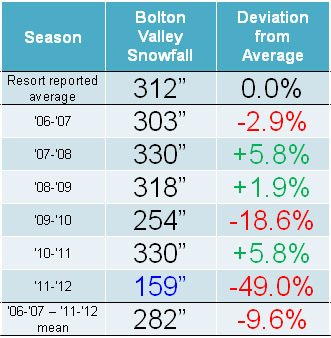 Snowfall at Bolton Valley Resort during the 2011-2012 ski season (shown in blue) was extremely low, just half the average amount. 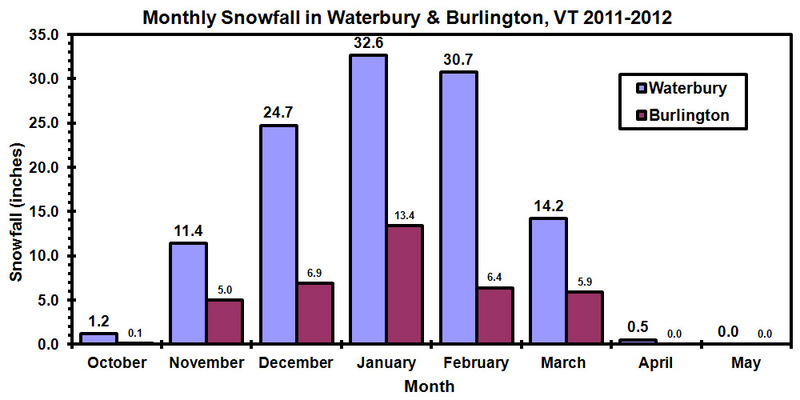 Although still well below average all around, there certainly was a trend toward slightly better snowfall as one continued to head north in the state, with the northward trend of 63.4% at Stowe, 66.6% at Smuggler’s Notch, and 71.5% at Jay Peak relative to average. 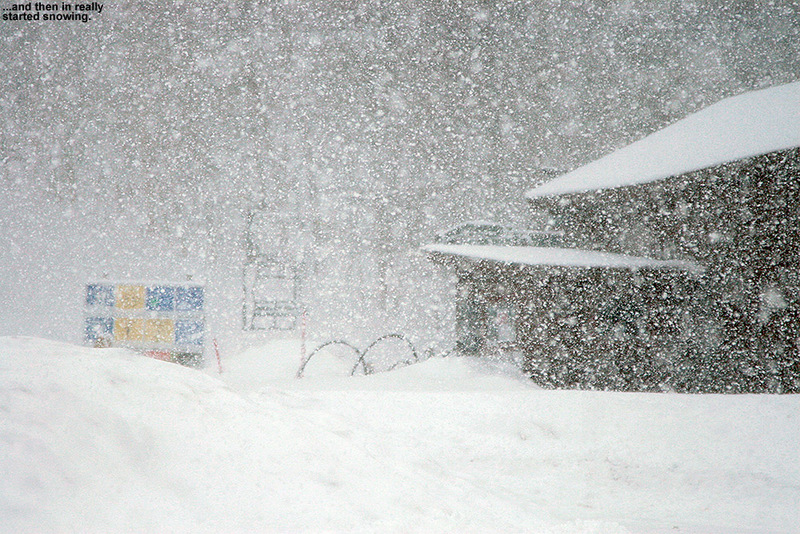 A contributor to the low snowfall at the resorts was the fact that there was really only one big, multi-foot storm cycle during the heart of the season. That storm came at the end of February and dropped 40” at Jay Peak, just on the heels of a couple smaller systems for a total in excess of 50” of snow in just a few days. The resulting skiing was fantastic due the density gradient that was set up by the way it fell – 1 to 2 feet of dense snow came first, and it was topped off with another couple feet of champagne that finished at around 2% H2O. The snowpack at the Mt. Mansfield Stake jumped from 49” to 81” during that period, and the icing on the cake was that the storm cleared right out to produce bluebird skies on Feb 26th. Unfortunately, one great storm doesn’t make a season. Based on estimations from my weather data, on average we should only expect one or two of those 40”+ storms per season, but they would typically be backed up by several 20”+ storms, and the deficiency of those is part of what left the overall snowfall lacking. Tree Skiing: In the past I’ve used empirical data from trip reports to establish a mean date for the start of tree skiing in Northern/North-Central Vermont, and as I outlined in last year’s ski season summary, that analysis revealed a date of December 10th ± 13 days, with an average depth at the stake of 28.1 ± 6.5 inches. 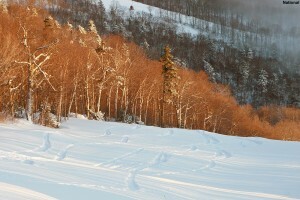 However, after a comment from Powderfreak back on December 12th, in which he indicated that he’d observed tree skiing on appropriate terrain at Stowe to start roughly when the snow depth at the Mt. Mansfield Stake hit 24 inches, I decided to run an analysis using snowpack data from the stake. Instead of just the 15 to 20 seasons worth of ski trip reports that are available since the arrival of the internet era, there are almost 60 seasons worth of data available from the Mt. Mansfield Stake. 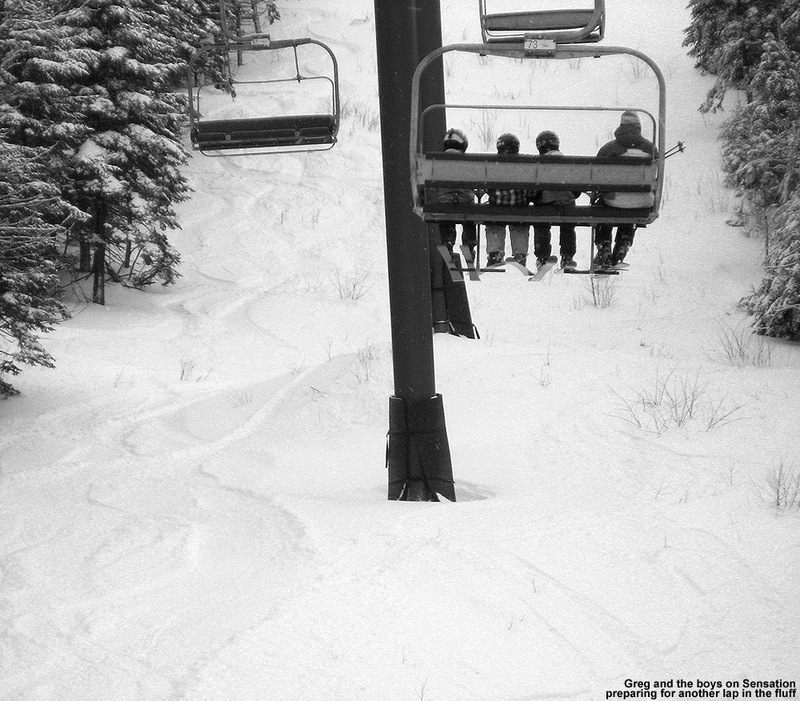 Analysis of the stake data using the first date of attaining 24” of snow depth or higher as the start of tree skiing, actually produced a very similar result (December 12th ± 19 days, with an average depth at the stake of 25.8 ± 2.7 inches) to what was obtained from the empirical data. With the date being so close to what I determined from the empirical data, I’m pretty confident that the date of attaining 24” in the stake data will serve just as well in determining the average start of tree skiing, and the relative start date for individual seasons. With the median and mode for that analysis coming in quite close to the mean, the distribution seems normal, so the standard deviation in the data should have some predictive value. This “24-inch rule” isn’t meant to replace the traditional “40-inch rule”, but it’s there to compliment it as a more practical measure of when people actually start venturing into the trees in this area (the fact that it is corroborated by many years of empirical data can testify to that). The point at which the stake hits 24 inches is a decent mark for when appropriately maintained trees are going to start offering up good turns for those with the right skills and knowledge, whereas once the stake hits 40 inches, skiers can pretty much venture into most off-piste areas with a good degree of confidence. Between those two points is going to be a continuum of increasing access to off piste terrain. Moving from the 24” depth to the 40” depth will typically take place during the month of December, with the snowpack at the Mt. Mansfield Stake reaching the 40” mark at the beginning of January on average. A scatter plot showing the date of attaining a 24-inch snowpack at the Mt. Mansfield Stake. Each star represents a year from 1954-2012, and this year’s date of attaining a 24-inch snowpack at the Mt. Mansfield Stake (January 3rd; indicated by the red star) is on the later side. For those that want the actual raw data from the above plot to see where specific seasons stacked up in terms of reaching that 24-inch mark at the stake, the numbers are available in my initial post with the plot in the New England Regional Forum at American Weather. How did the 24-inch snowpack depth analysis compare to what we actually found on the ground this season? 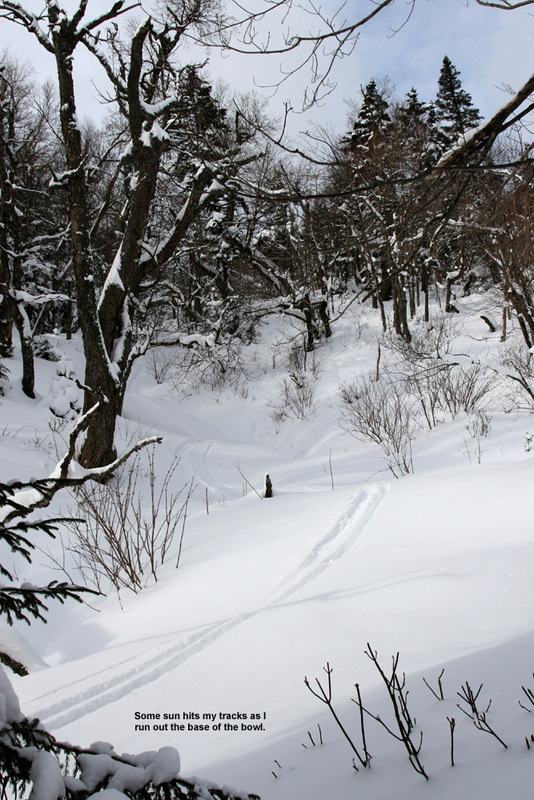 Since skiing natural snow terrain on piste began first, I’ll mention that momentarily before discussing the trees. I saw the first signs of people skiing natural snow trails this season on December 27th at Bolton, and coverage certainly looked sufficient on at least moderate terrain. 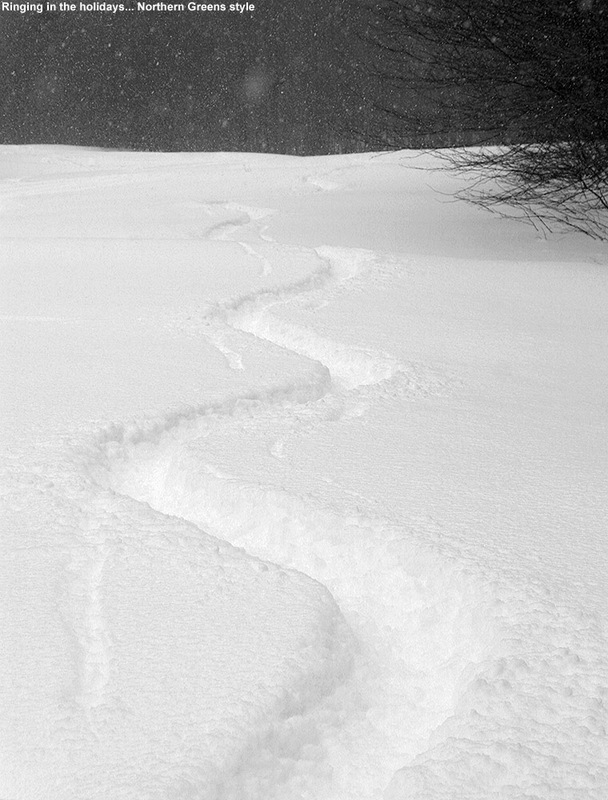 The tracks I saw at that point already looked old, and I suspect that on piste natural snow coverage was actually sufficient the day before (December 26th), thanks to the Christmas Day storm. Bolton picked up close to a foot of snow from that storm, and at the end of the day on the 26th, the snow depth at the Mt. Mansfield Stake came in at 14”. 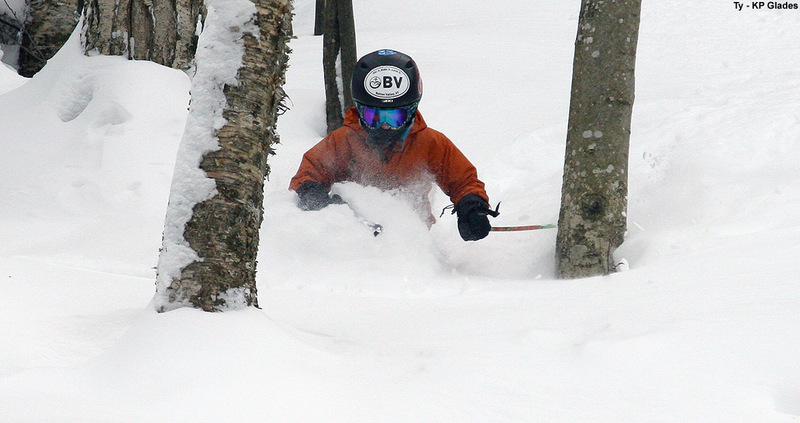 The first day that we actually ventured into the trees at Bolton Valley was December 29th, and as I stated in my report from that day, we only ventured in for one run because the base was just a little too thin to really ski with confidence in there and enjoy it. And, when the snowpack was measured at the Mt. Mansfield Stake later that afternoon, the depth was 21 inches, just a bit shy of that 24-inch mark. By the next day, we were skiing natural snow trails with more than enough coverage, but it wasn’t until January 7th at Bolton that I commented about some of the trees finally being ready after the boys and I skied Wilderness Woods. The measurement from the stake came in at 24 inches that afternoon, and we were clearly reaching another threshold of sorts, so attaining that 24-inch depth at the stake was indeed a decent measure for the start of tree skiing this season in our experience. Powderfreak and I have discussed how that 24-inch number is going to be quite rough, since a 24-inch depth attained mostly with fluff will represent something substantially different that a 24-inch depth attained with cement, but it looks like it’s going to be a reasonable approximation of when people start to take their initial forays into the trees and find the conditions good enough to stay there. Looking at tree/off piste skiing for the season as a whole, there’s no question that it was curtailed relative to normal. The very late date of reaching 24 inches at the stake in the beginning of January (January 3rd) is 1.13 standard deviations beyond the mean according to the Mt. 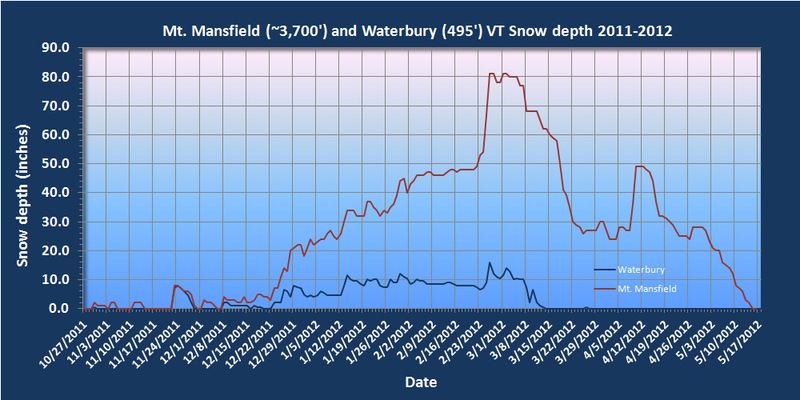 Mansfield snowpack analysis, putting it close to the bottom 10% of seasons. 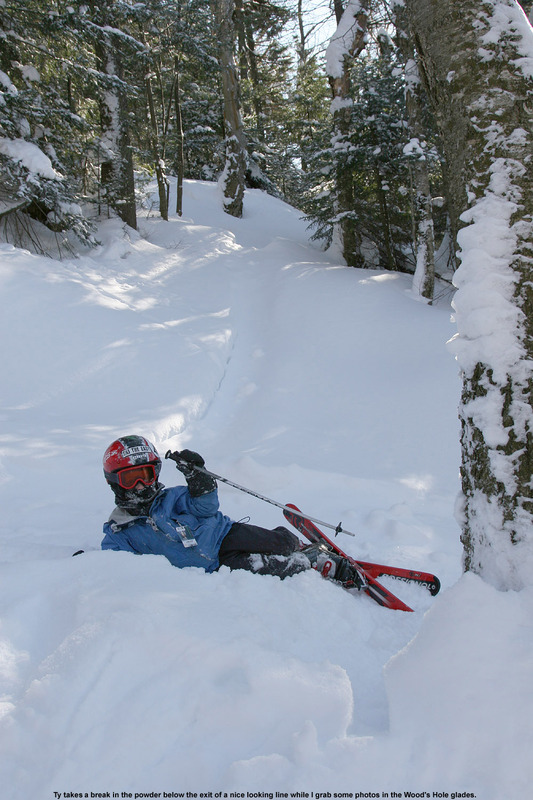 When this is coupled with the large amount of melting in Mid March due to record heat, which closed a lot of terrain, it equates to a tree skiing season that is roughly 2 ½ months long, compared to the more typical length of 4 to 5 months. 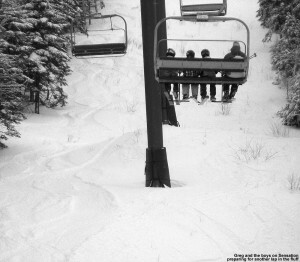 The off piste season was certainly condensed, and while coverage was there to enable plenty of access in January (Stowe reached 100% open status by January 14th), tree skiing really seemed to take forever to hit its stride; to wit, the snowpack at the stake didn’t hit the 40-inch mark until the end of January. Snow Quality: In last season’s summary, I checked my trip reports and found those days in which we were skiing powder, typically suggesting a fairly high level of snow quality, and those days in which powder skiing wasn’t available, often indicating some sort of thaw (or in one case this season, insufficient base depths). For the list of outings below, I’ve again placed a P whenever we were skiing powder, and put a red X if we weren’t, to reveal the temporal pattern associated with that categorization. 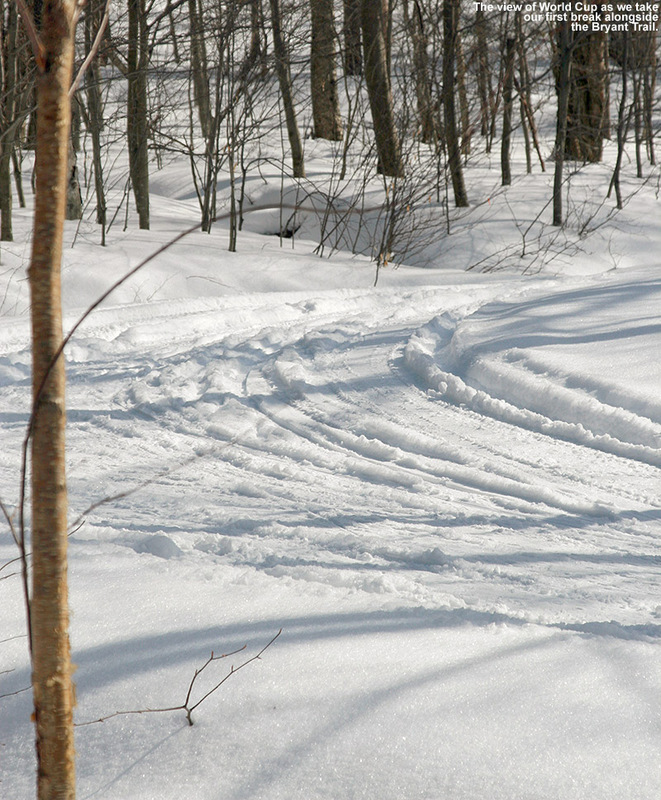 Outings with an X may still be providing decent skiing such as wet snow, corn, etc. (or else we’d probably be doing something other than skiing) but aside from the spring period, there’s going to be a price to pay in terms of snow quality after these episodes when temperatures eventually cool back down. Chronologically, the first X appears for the outing on December 10th at Bolton Valley. The lack of powder skiing on that date wasn’t actually due to temperature fluctuations, but instead due to the fact that there just wasn’t enough natural snow; substantial snowfall was very slow in coming in early December. The natural snow depth up above 2,000’ in the Bolton Valley Village was still only 2-3” at that point, so short of junkboarding, skiing was really restricted to just the limited terrain that had manmade snow. The next X appears on our Bolton Valley outing on December 31st, and it represented a notable bump in the winter weather. 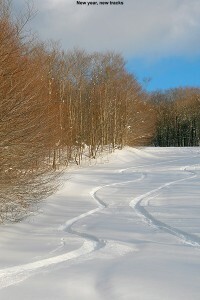 The holiday week wasn’t too cold, but it was certainly snowy like one would expect at Christmas time in Vermont, with three decent snowstorms totaling more than two feet of snow at the northern resorts (refer to the December entry in the detailed monthly section for more information). 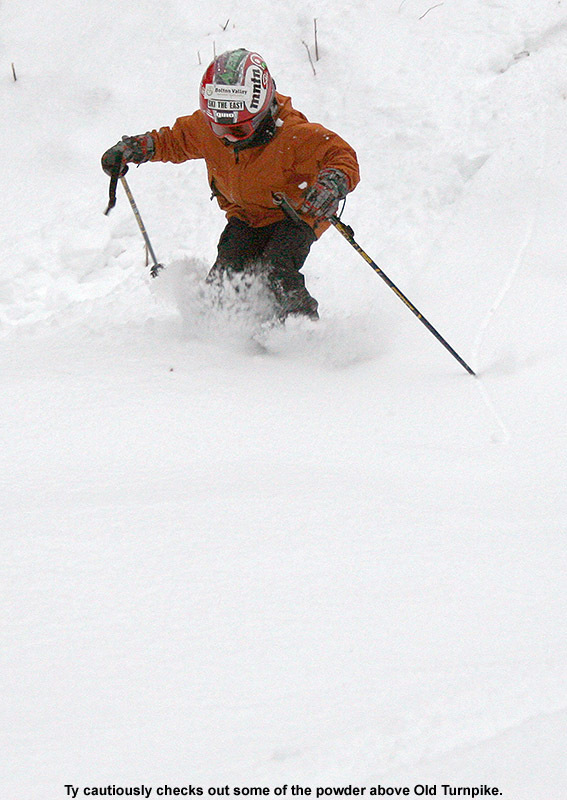 So there was indeed some great powder skiing during that stretch. 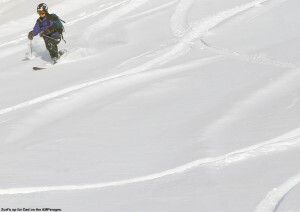 The main factor that kept the overall quality of the skiing from being really outstanding was the lack of base. The natural snow terrain that was open was excellent, but there still hadn’t been enough snow to open the steepest terrain without snowmaking. The X in this case comes in at the tail end of the holiday period where there was a thaw. I described the skiing on New Year’s Eve as reminding me of the Pacific Northwest, with low hanging clouds on the mountains, and dense snow underfoot. I’m not sure how long the resulted firm snow conditions lasted, because three small to moderate storms came through the area that week, with the first one dropping a half foot of snow in the mountains. By the following Saturday there was powder skiing again for the weekend. From that point on there were no interruptions in powder skiing though to mid March – at least from our perspective; we don’t ski every day of course, but we did ski every weekend through that period. 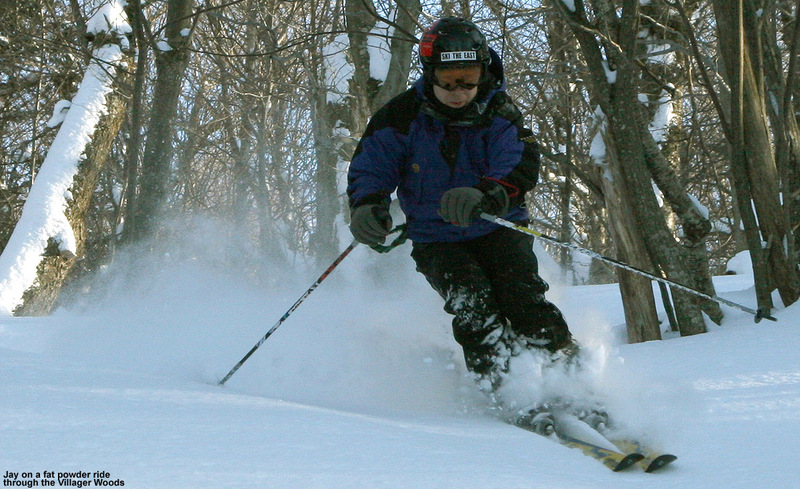 However, Powderfreak does ski just about every day of the season at Stowe, and he noted that there were only a few select days without powder. I’ll speak more about that at the end of this section. By far the section of the outings list that stands out the most is the second half of March – the dramatic change in conditions is quite obvious, with seven outings in a row marked with an X. 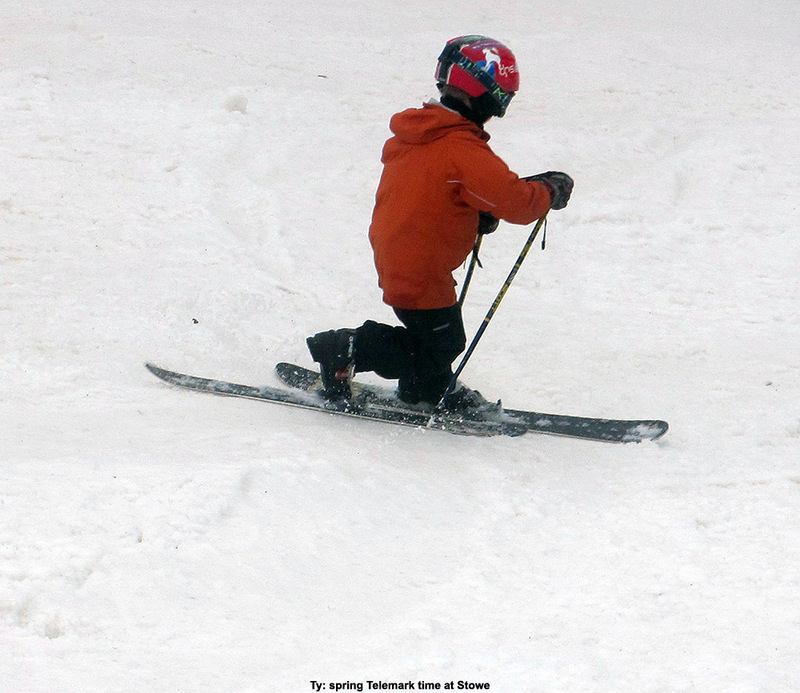 Record warm weather came in with a vengeance in mid March, and it was all spring skiing until the weather cooled back down to normal levels and produced snowstorms for the final two thirds of April. We finally finished off our season with a couple of corn snow days in May, a point in the season where that type of snow is the norm. 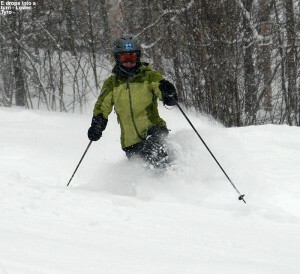 E enjoys some of the October powder at Pico after back to back storms set up some great ski conditions. October: Snowfall in the month of October is generally scant down at the elevation of our house (495’), and because we’re on the fringe of the cold season at that point, it’s not a great indicator of snowfall in the local mountains. The six year average I have in the valley is 0.9” of snow for October, so by that measure, the 1.2” of snow that we received in October 2011 was very typical. However, for the New England region as a whole, October 2011 would wind up being anything but typical. Back to back snowstorms hit New England at the end of the month, with the first one on October 27th dropping over a foot of snow at Killington to kick things off with gusto. 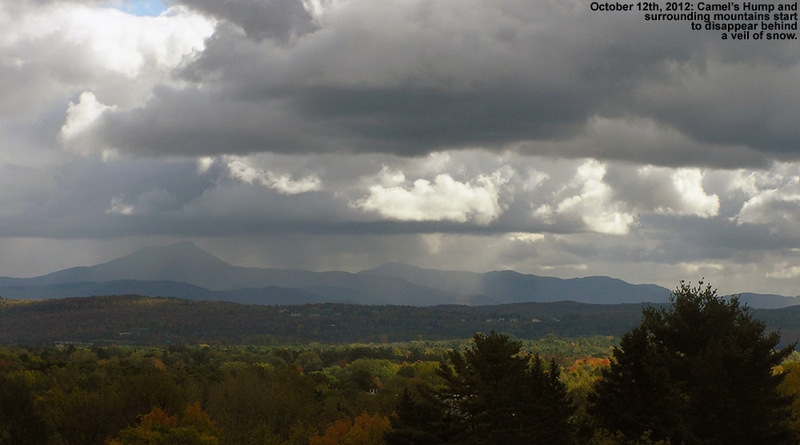 That type of storm is pretty standard for the mountains of Vermont in October, but just a couple days later on the 29th, it was followed up by a second, larger storm – a record-breaking monster of an October snowstorm for Southern New England. Over 30 inches of snow fell in some locations, and those weren’t necessarily high elevation locales. Massive power outages ensued because leaves were still on the trees in those areas, and people were without power for up to two weeks. 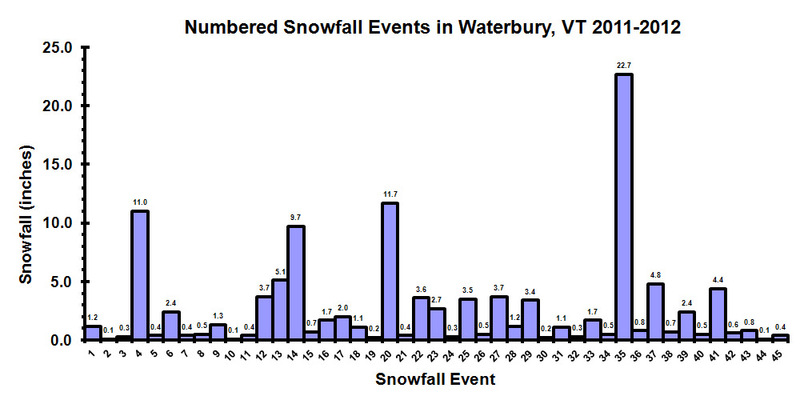 Ironically, despite the back-to-back snowstorms in New England, including an historic, 100-year event, Northern Vermont ended up with little if any snow from either of them. 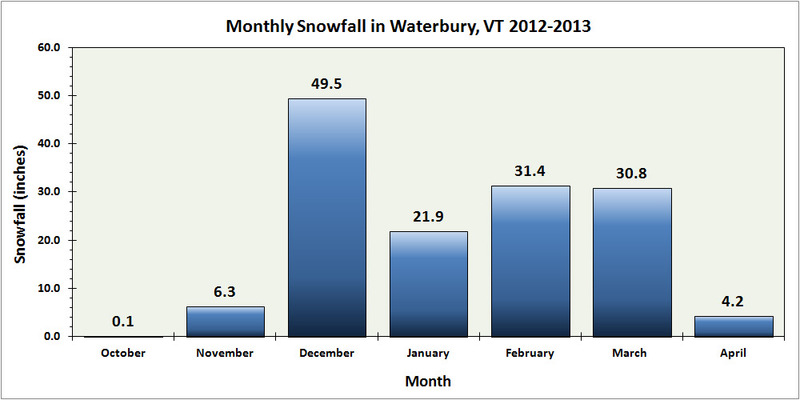 The lack of snowfall is seen easily in my 2011-2012 Waterbury/Mt. 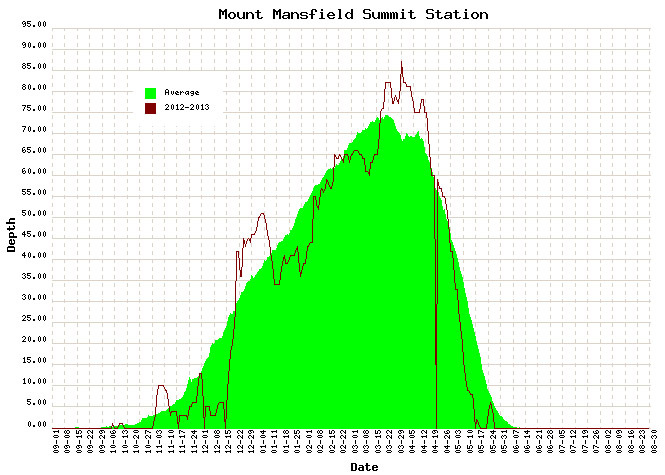 Mansfield snowpack plot – the only snow depth recorded on Mt. Mansfield for the entire month was 0.5” on October 30th, and that is essentially invisible with the scale used. I don’t know what Mt. 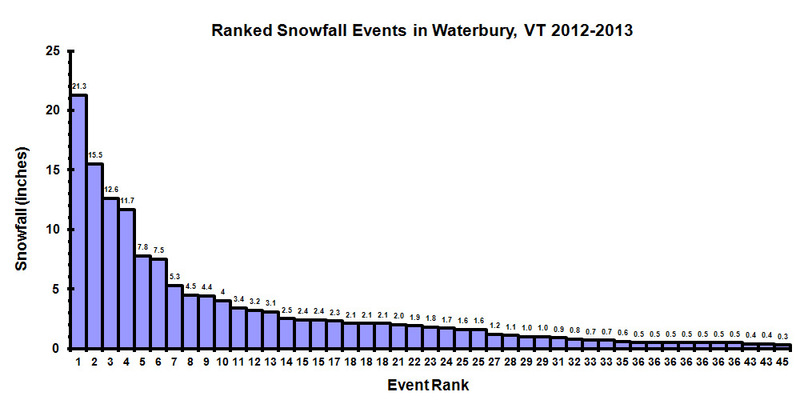 Mansfield averages for snow in October, but I’m sure what they got was well below average. As for the skiing though, what we couldn’t get in the Northern Greens was easily obtained about an hour south in the Central Greens. With the mountains of Central Vermont getting hit by both storms, we headed down to Pico with the boys for an outstanding day of turns in the powder. 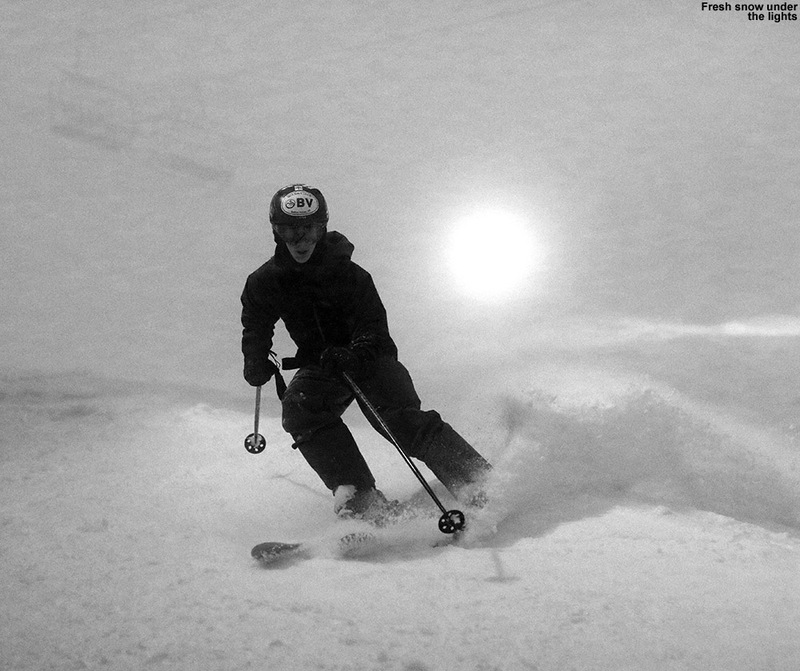 The back-to-back storms had essentially set up snow on snow, or powder atop a base. 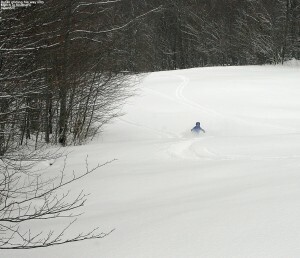 That’s a bit of a treat compared to the way October skiing on natural snow often plays out, so it was enjoyed by many. It almost seemed like half the ski population of Stowe had temporarily migrated south to access the great turns at Pico. So while in general, October was pleasant, mild, and nearly snowless in Northern Vermont (Burlington came in 2.0 degrees F above normal at the National Weather Service Office) some great skiing snuck in there a bit to the south. November: I’ll put November 2011 into perspective by looking at November 2010, in which the ski conditions were apparently poor enough that we didn’t ski once. Fortunately, that didn’t happen this season – even if just by a day. 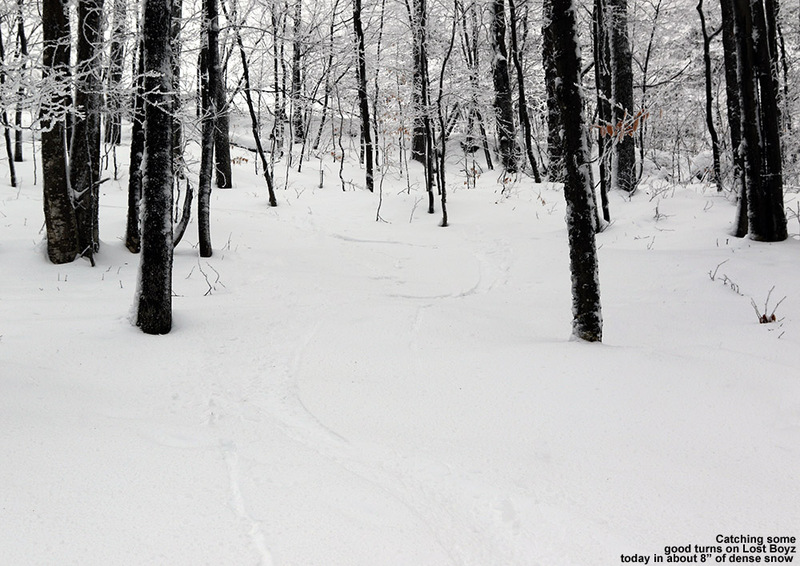 The near lack of snow in November 2010 could be considered demonstrative of typical November snowfall in the valley though, because up to that point it had truly been feast or famine since we moved to our current Waterbury location in 2006. However, this past November finally bucked that trend by coming in with 11.4” of snow (128% of average) which is as close to “normal” snowfall as I’ve ever seen for the month based on my data. We had a couple of minor accumulating snowstorms early in the month, and then another mid month, but it was a storm near the end of the month that really produced 95% of our November valley snowfall. 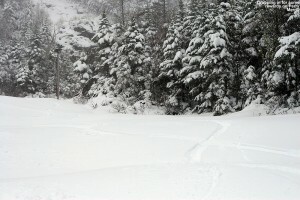 That storm dropped almost a foot of snow at the house, and got me to head up to Bolton Valley for some turns. In terms of skiing, options for catching the new snow atop a manmade base were rather limited because most of the local resorts were of course using their manmade snow to serve customers, but I headed up to Bolton Valley to see if the natural snow alone was enough for some turns. Since they don’t open until December, Bolton hadn’t yet made any snow by that point, but it turned out that the storm had dropped over a foot of snow up there, and it was dense enough that one didn’t need much of it to keep them off of whatever lay beneath. 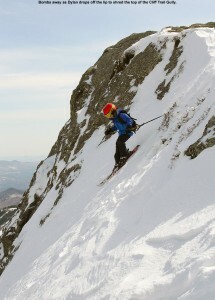 I enjoyed some decent turns, even if that outing wound up being the only one for the month. This past November was a decent step up from the previous couple of seasons with little to no snow, but we’ve still yet to have a very snowy November since the 2007-2008 and 2008-2009 seasons; both those seasons delivered roughly 20” of snow in the valley, and plenty more in the mountains. The general seasonal trend of warm weather continued right through the month as well; although much colder than October on an absolute basis, November was even warmer relative to its long range average, coming in 5.1 degrees above normal at the National Weather Service Office in Burlington. Holiday week frost delicately adorns one of the windows in the Bolton Valley base lodge. December: The first two thirds of December simply felt like a continuation of November; the pre-holiday period was hampered by above average temperatures, but the more notable issue was the absence of significant storms. The Northern Greens were holding their own thanks to numerous small snowfalls, and these events were definitely enough to get us into some powder skiing, but they weren’t enough to really build a deep base of natural snow. The last third of the month was really the highlight in terms of snowfall. As the all-important holiday week approached, Central Vermont northward finally got into some moderate storms. The localized nature of these storms was good for highway travelers from down south, and one could hardly ask for better timing of fresh snow for the holiday week. Storm 1 hit on Friday the 23rd, dropping roughly half a foot from Killington northward, storm 2 was on the 25th, centered on Stowe where they received over a foot, and storm 3 began on the 27th, with totals again topping out around a foot. The skiing was quite good, indeed excellent by the end of the week as the snow from the storms continued to pile up, but the lack of snowfall earlier in the month meant that the natural base depths weren’t there like they would normally be. Fortunately, some natural snow terrain was open, but certainly not the steepest stuff, and the natural snowpack was still just a bit too lean to spend much time in the trees. In any event, we skied eight times during that holiday stretch, a sign that there was definitely some good skiing. With all the new snow, our local area certainly had it a lot better than many places in the country did during the holiday week, so in that regard we were lucky. I’m sure business was still down at the Vermont ski areas in general, but people may have been hearing about the holiday snow that Northern Vermont was getting, because Powderfreak posted on Christmas Eve how lodging space was still very tight in Stowe. Despite the snow in the northern half of Vermont though, the general talk around the region was how poor and snowless it was in general, so I’m sure many places lost some potential visitors due to that. Even with those moderate storms at the end of the month, when all was said and done, we still ended up quite low on snowfall down at the house; the 24.7” we received was just 59% of our average for the past six seasons. Temperature consistency/snow surface quality: With the slow start to snowfall, we didn’t even ski during the first weekend of the month, but we did get out for the other four. The second weekend was the one where there was no powder simply because there wasn’t enough snow. Temperatures were certainly above average as a whole (NWS in Burlington was +4.8 F on the month), but December mean temperatures start getting cold enough that even above average departures can still be sub-freezing and produce snow in the mountains . The third weekend of the month had some decent conditions at Stowe, and then the final two weekends sort of lose their definition with the big holiday week, and that period gets lumped together. 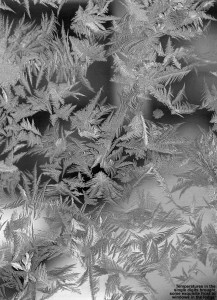 Conditions for the holiday week were mostly wintry; strictly speaking though, the last weekend of the month did see a thaw, but in the context of the whole holiday week it was rather insignificant. January: We had 13 accumulating snowstorms at the house in January, which is quite decent and actually a bit above average in number, but as mentioned in the Snow Quality section of this season summary, we also had seven January thaws. These thaws didn’t mean torrential rains, but what we saw were many storms with mixed precipitation in the middle, cutting down on snow totals. The Northern Greens continuously made fantastic recoveries in snow conditions due to grabbing that upslope snow on the backside, so snow surfaces were quite nice in general, but in those first couple of weeks after the holiday storms, we got back into what Powderfreak calls “nickel and dime” snows. They kept surfaces fresh, but base depths built very slowly. 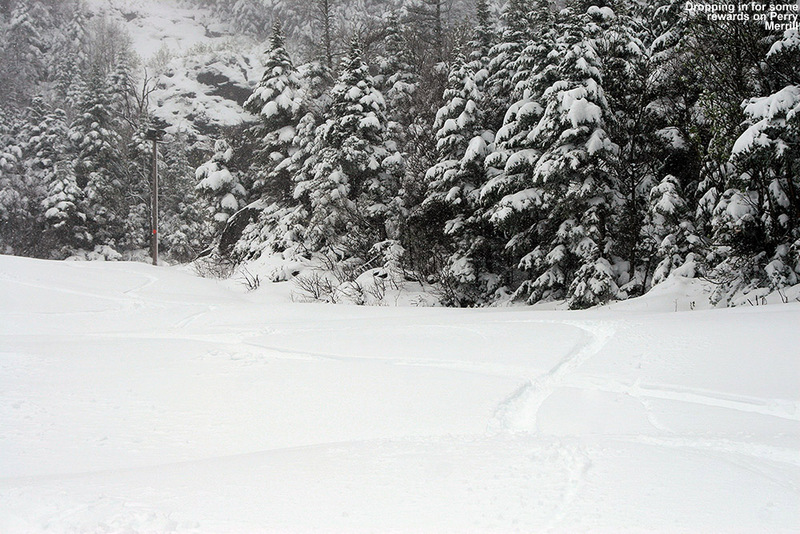 Finally on the 12th, we got a more significant storm, which dropped two feet at Jay Peak, and roughly a foot and a half down through Sugarbush. 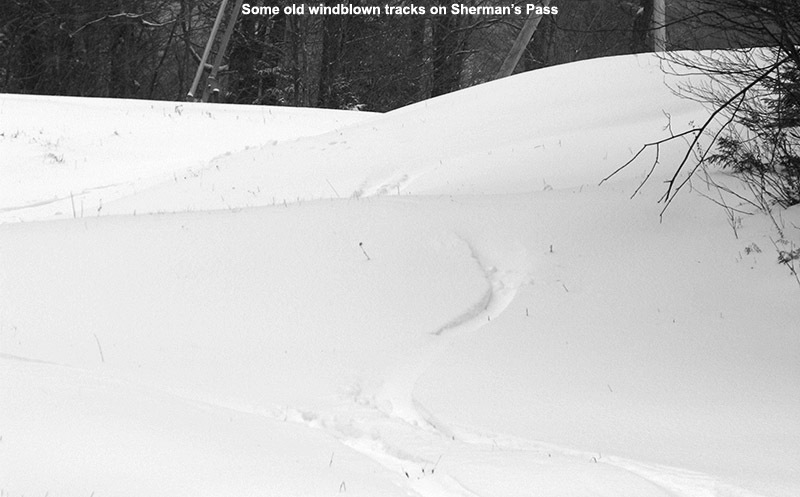 That storm was an undeniably propitious event, and Stowe’s terrain was 100% open by January 14th. Again we saw Mother Nature pulling off some of her nice timing with that storm cycle, since it was just in time for the MLK weekend. I remember skiing great packed powder snow on Waterfall at Stowe on the 16th, and commenting to Powderfreak how astonished I was – it seems like that trail is hardly ever open even in a good season, and there we were skiing it with such premium snow in a very low snow season. We were fortunate to get that storm though, because after that it was back to nickel and dime storms with some of those similar mixed precipitation sandwich events with backside snows for the remainder of the month. Overall snowfall at the house was 32.6”, not quite as low as December, but still just 83% of average, so we weren’t making any gains on the low season snowfall. At +5.8 F, the deviation from normal temperatures at the Burlington NWS for January was even a degree higher than it had been for December. Like December though, normal January temperatures are cold enough that substantial snow can fall with positive departures like that. Temperature consistency/snow surface quality: With eight days under our belts from the holiday week, and nothing returning the conditions to midwinter after our Pacific Northwest-style outing on December 31st, we didn’t ski on January 1st, but we did ski on all four of the full weekends during the month. As seen in the outings list above, powder was present throughout our trips to the mountain, which was pretty amazing considering all those thaws/mixed precipitation storms. 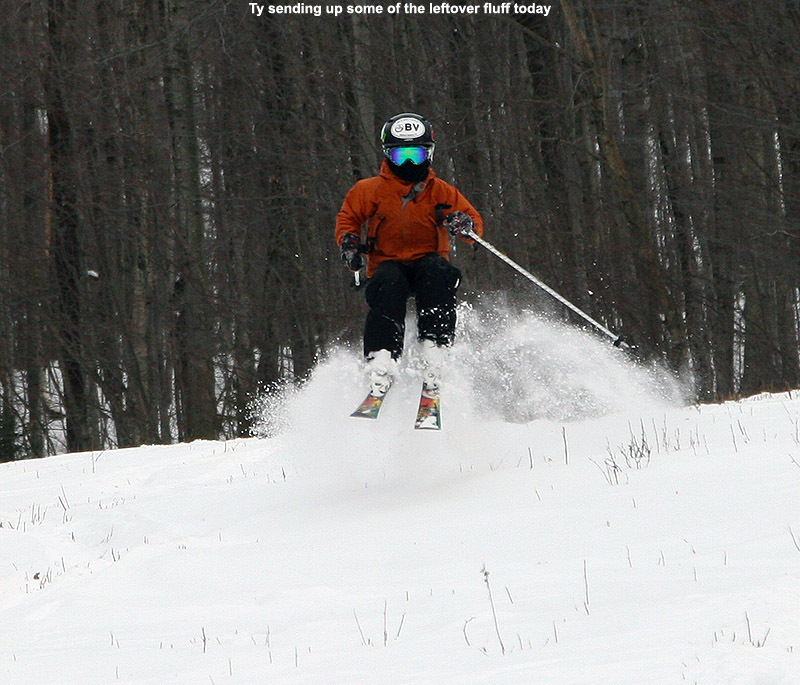 It was storm skiing today at Bolton Valley. 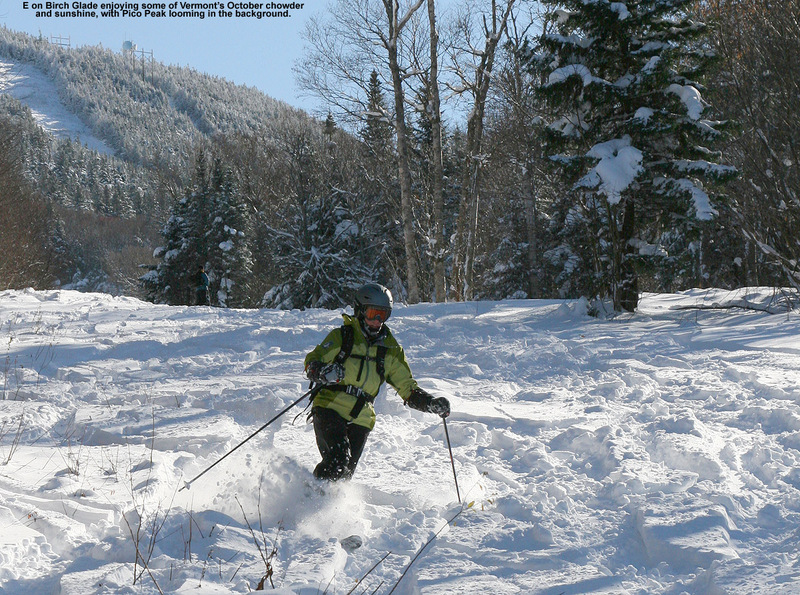 February: There’s no question that February will go down as having the best skiing of the season in Northern Vermont, but the month certainly didn’t start out in a spectacular way. An initial half foot storm at the beginning of the month did a fantastic job of resurfacing the slopes after one of those January “sandwich” storms with mixed precipitation in the middle, and Mt. Mansfield continued to impress. 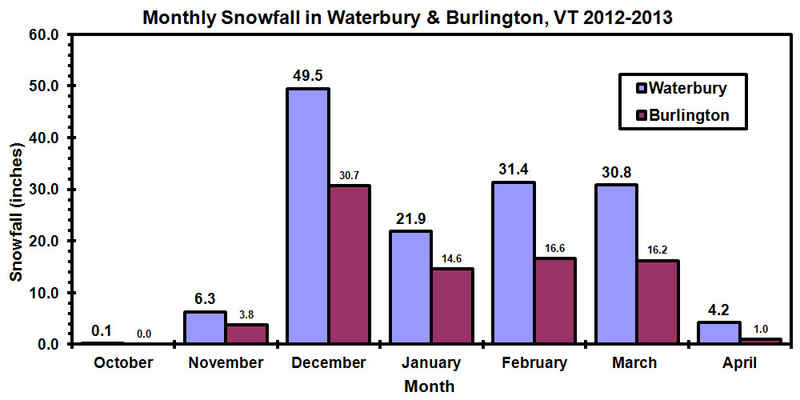 Although still well below average in terms of both snowfall and snowpack, Northern Vermont was clearly doing extremely well in comparison to even Central Vermont by that point. After that initial modest snowfall event, our wishes for a weather pattern change that would get us away from all those mixed events were indeed answered, but perhaps not exactly in the manner we would have liked. Instead of switching over to more typical snowstorms, the precipitation basically shut off. Down at the house, we’d had just over half a foot of snow through the first three weeks of the month. For a month in which we average over 40” of snow in the valley with a very low standard deviation of about 8 inches, we were staring at the potential for an amazingly low monthly snowfall total. Happily, the last week of the month ensured that February 2012 didn’t live on in infamy. We quickly picked up a couple of appetizer storms on the 21st and the 22nd, which didn’t produce much snow at the house, but delivered close to a foot in the mountains. 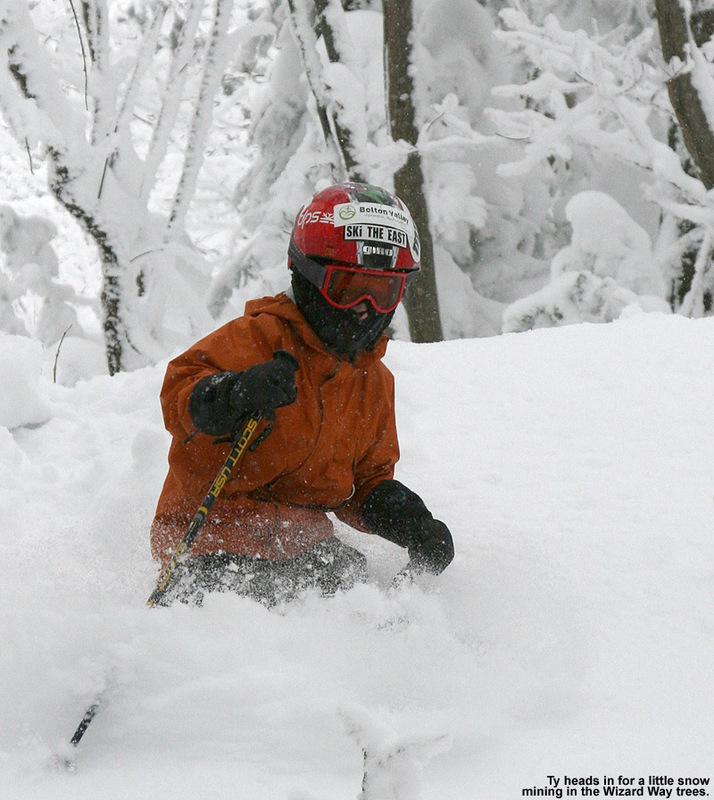 It was on the 24th though that the big kahuna came through; that storm dropped up to 40” in the northern mountains, with a total of over 50” at Jay Peak for the three storms combined. It wasn’t just a fluff storm either; snow from that storm definitely fell “right side up”, and ski conditions were off the charts. So much snow fell so quickly though that the avalanche conditions got a bit tenuous in the backcountry. I saw mention that Jay Peak broke their 24-hour snowfall record during the storm, but since I see that listed as 42”, I don’t think that was actually topped with this storm. In any event, the natural snow depths made huge gains, and as mentioned above; that storm even brought the snowpack at the Mt. Mansfield stake to an above average level. 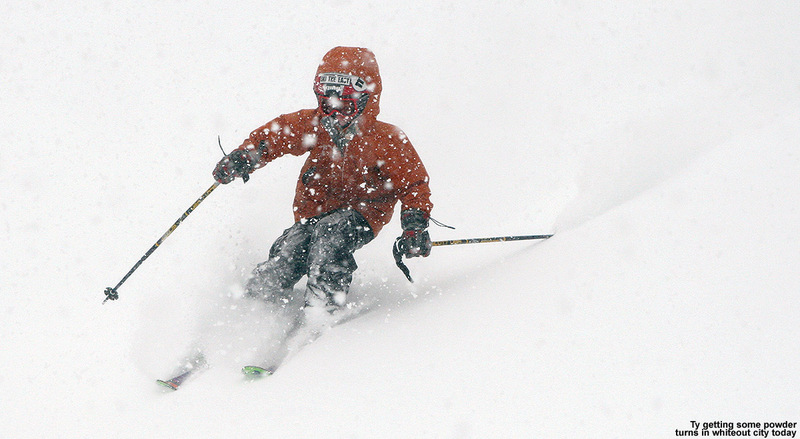 With a final storm total of 22.7” at the house, it was our largest valley snowfall of the season. That one storm pretty much made the month in terms of our valley snowfall, but we still ended up with just 30.7”, which is 73% of average. The general presence of heat didn’t let up either, and the departure from normal at the NWS in Burlington again went up an entire degree from the previous month to reach +6.8 F. Temperature consistency/snow surface quality: The great timing of storms continued, and even the reduced snowfall in the first ¾ of the month was enough to keep powder around; conditions certainly remained good as we moved through that first part of February. 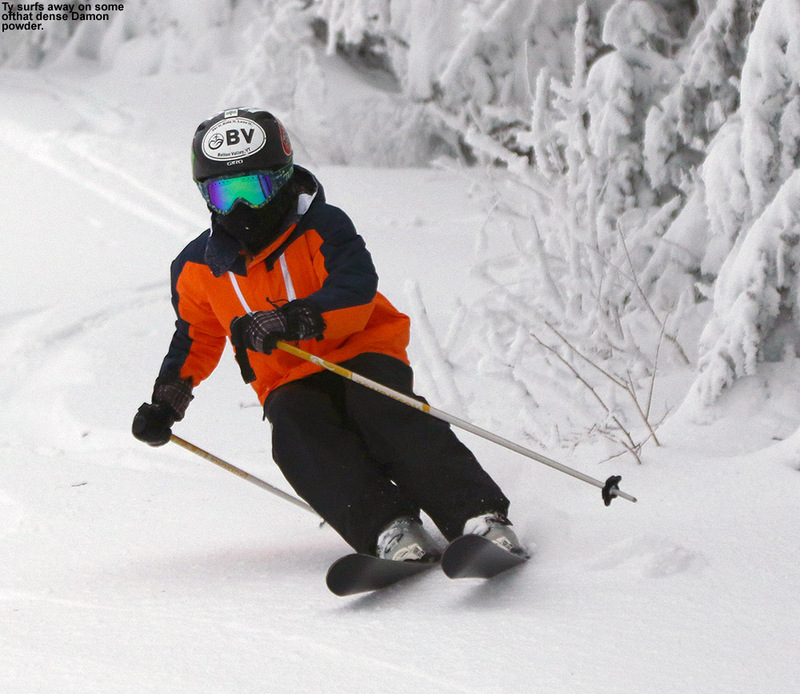 The big storm was wall to wall snow and timing hardly mattered, but it was a weekend event anyway, with storm day skiing on Saturday, and fresh powder and blue skies on Sunday. That weekend took the cake of course, but all four weekends of the month offered some great skiing. March: The first half of March felt like a continuation of that decent stretch at the end of February, even if we didn’t get any additional three to four foot storm cycles. Just a few days after the big February storm ended, another decent cycle came through heading into the 1st of the month, with close to a foot of additional snow at the northern resorts, and a foot and a half at the southern resorts. Amidst other freshening events, a storm on the 4th dropped about a half foot of snow, and then over a foot fell from a storm on the 9th that targeted the north-central resorts. The boost from the big February storm was felt in base depths and surface conditions, and you could feel that the season had really turned into what one would expect for March. Even as unseasonable warmth started to intrude and occasionally turn the powder wet through the first half of the month, there was usually enough time to get in turns for a good part of each day while the powder was still dry, and then more snow would come along to freshen things back up. The weather through that period was certainly on the warm side, but it was during the second half of the month when all hell broke loose with regard to temperatures. That expression is somewhat apt, because for March, it felt like that when five consecutive days of record temperatures with departures of +40 F hit the state from the 18th-22nd. 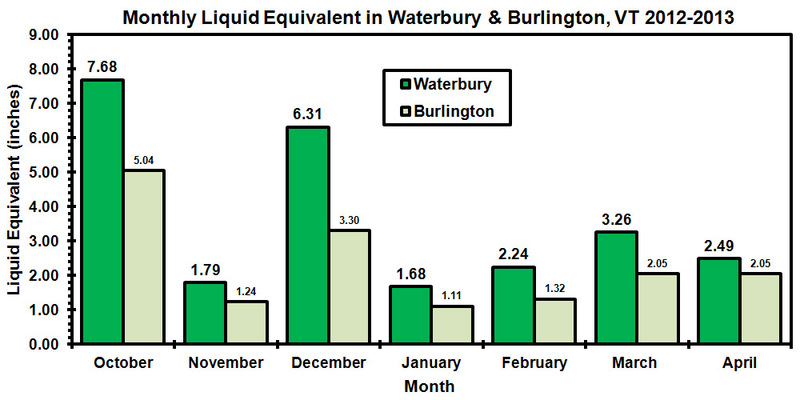 Combined with the more moderate warmth during the rest of the month, the result was an incredible +12.2 F departure from the average March temperature at the NWS in Burlington. With almost no new snow in the valley during that warm second half of the month, March snowfall was a paltry 14.2” at the house, just 60% of average. Temperature consistency/snow surface quality: The list of ski outings from above shows the trend here quite well, the first two weekends offered powder conditions, and from then on it was spring skiing. However, powder had been available for every weekend or holiday period since the middle of December by the point at which the snow conditions flipped, and that’s a commendable three-month stretch for such a season. Beyond the middle of the month, X was the only way to describe the powder conditions until we finally got to April. There was decent corn snow and great weather during that second half of March, but it was so warm that trail counts dropped rapidly at many resorts; even the huge snowpack gains made by the northern resorts at the end of February were lost as the snow depth at the Mt. Mansfield stake fell well below where it had been before the big climb. Despite the good spring skiing, it seemed like many resorts closed down simply because people had given up on winter by that point. The slow start and rapid end to winter seemed to take the wind out of everyone’s sails and, it had them looking to quickly put the season in the rearview mirror. 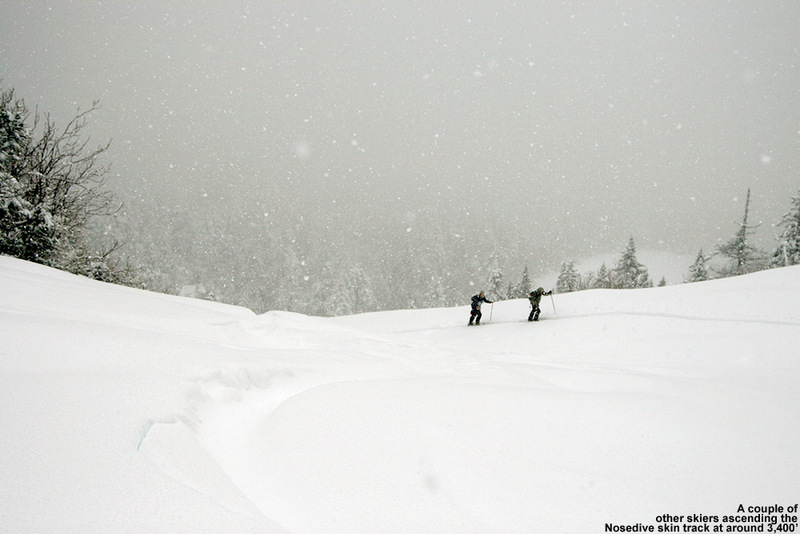 A pair of skiers ascending Nosedive this morning amidst the continued snowfall. April: Temperatures for the month of April still came in above average (+1.2 F) at the National Weather Service in Burlington, but after the unprecedented warmth of March, that felt downright cool by comparison. 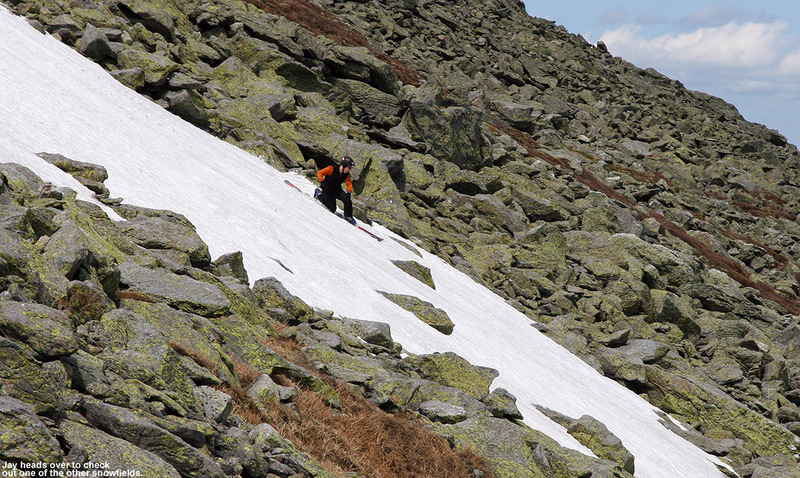 Indeed April was more typical though, and some good skiing returned, even if the slightly warm temperatures kept the snow especially elevation dependent. With that trend, snowfall down at the house was almost insignificant, just 0.5 inches or 8% of average. That’s the least snowy April we’ve encountered in the six years that I’ve been monitoring snowfall at our location. Storms nailed the mountains with snow though, in the form of a minor event on the 4th of the month, then a big cutoff low dropping 2 to 2 ½ feet on the 9th. 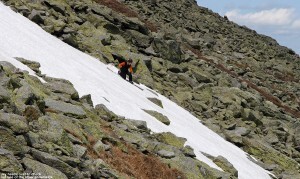 That snow was fairly dense and represented an unmitigated resurfacing of the slopes as one headed up in elevation. The skiing was great, at least in a Sierra Cement/Cascade Concrete sort of way where it doesn’t take much to cover whatever is below, but it would have been even better if the March warmth hadn’t deteriorated the snowpack as much as it did. 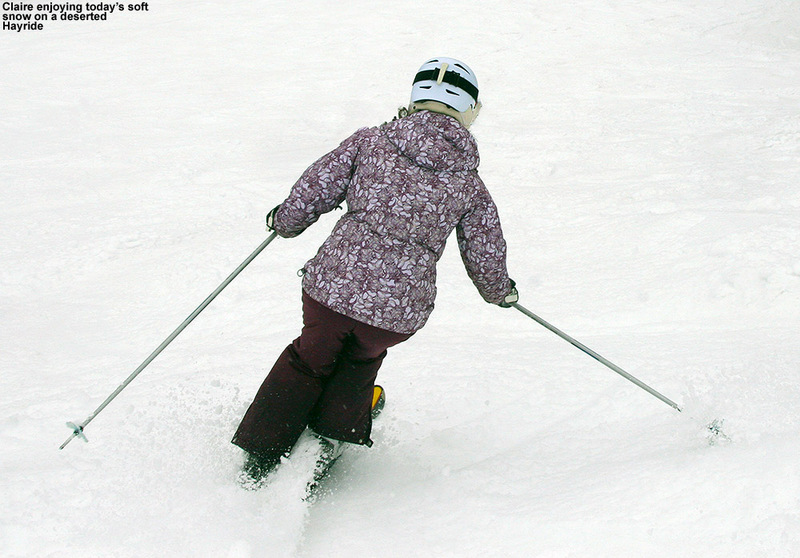 With most ski areas closed after March sapped people’s interest in the season, plenty of great earned turns were made, but at the resorts that had stayed open, there was also some excellent lift-served skiing. April finished off with one final storm at the end of the month, which was nothing like the big one earlier, but it dropped about a half foot in the upper elevations and that was enough for some final powder skiing before we moved on to May. Temperature consistency/snow surface quality: While certainly not up to the level of April 2007, we did get to ski powder on all of our April days except April 1st. Most of what fell during the month for snow was rather dense, but it was still a nice reprieve to have fresh snow after the way March had gone. We only skied three of the five weekends that month, as half of our outings ended up being midweek. May: After some tempering of the heat for April, Mother Nature was back at the stove for May, with a +5.3 F departure for the month at the NWS in Burlington. We didn’t have any accumulating snow in the valley, although that’s typically the case down at our elevation. There were actually no significant winter storms to speak of, but we did have one Vermont ski day on the 12th, enjoying the last of the corn snow up at Jay Peak. 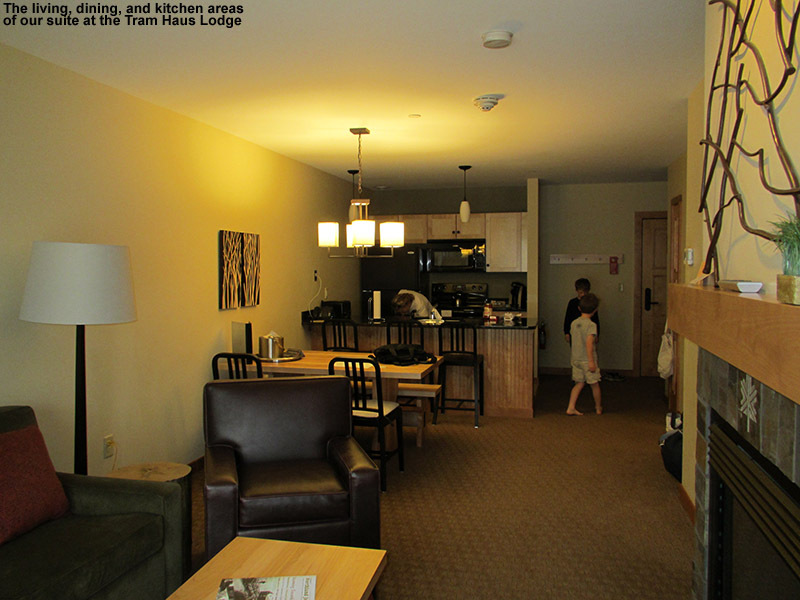 We took advantage of a Mother’s Day package that offered a chance to sample a lot of the new facilities up at the resort (water park, arcade, restaurants, etc. ), and indeed taking in that smorgasbord of activities is an especially nice way to go when skiing is only going to be a minor part of a trip. 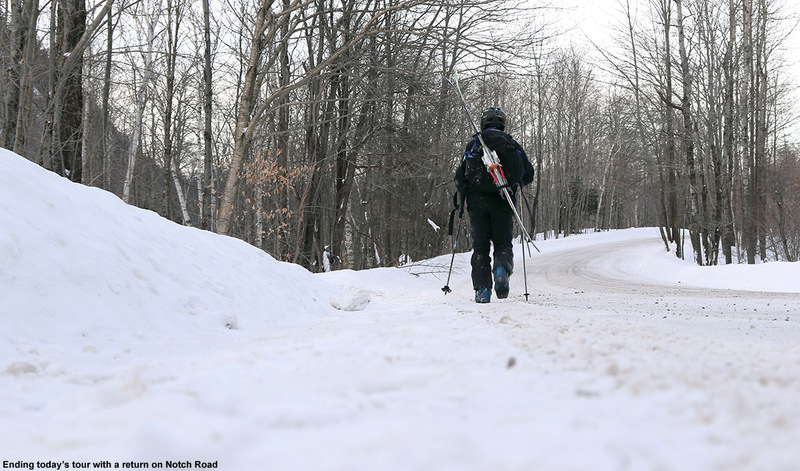 Our other day in the month was actually out of state in New Hampshire on Memorial Day weekend, taking our traditional camping trip Auto Road ascent with the boys to ski the snowfields. The snowfields were somewhat on the lean side this year, but not bad considering what the region went through meteorologically during the winter season. At the monthly level, the 2011-2012 ski season was a simply amazing stretch of positive temperature departures followed by even more positive temperature departures, and that trend has continued right into the summer, with June and July coming in at +1.9 F and +2.4 F respectively. August is currently coming in with a positive departure as well, and if it ends up staying that way, it will be the 17th month in a row in the positive departure streak for Burlington. Those departures are going to flip at some point, and it’s going to feel quite chilly by comparison. Despite that trend though, even when combined with below normal precipitation, the quality of the ski surfaces encountered this past season in Northern Vermont was quite good. I’m not sure if I’m willing to say better than average, since I don’t think surfaces were better than average at Bolton Valley, but I am willing to say that in our visits to Stowe this season, the typical on piste surfaces we encountered were actually better than the previous season. One thought is that the lack big storms in general also played out as a lack of notable rainstorms, which while generally infrequent in the heart of winter anyway, are likely more detrimental to the snow surfaces than more modest events with simply some mixed precipitation in the middle. The Northern Greens certainly showed throughout this past season that they have the ability to cover the back side of mixed precipitation events with additional snow quite effectively when there’s at least some moisture in the atmosphere to be wrung out. The fact that business was down somewhat at the resorts, may also have contributed to less skier traffic and slightly elevated on piste snow quality. 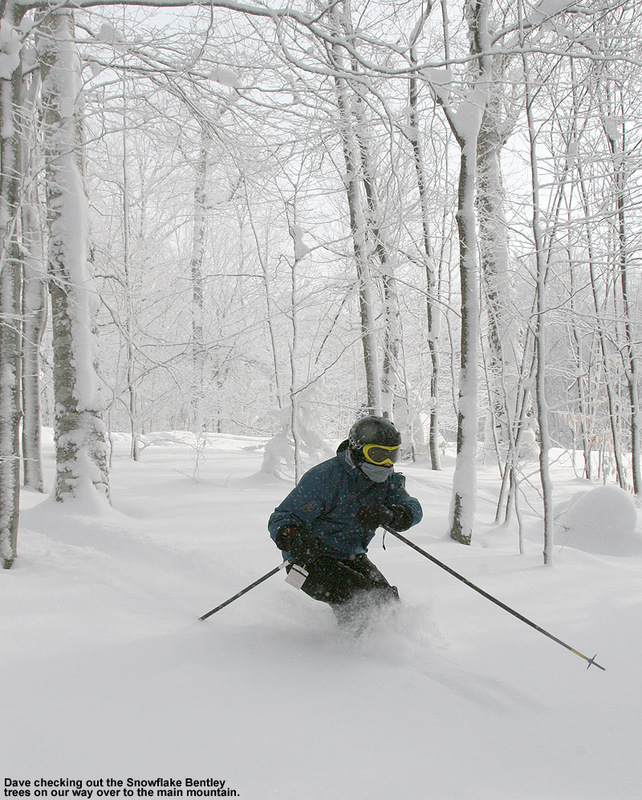 Whatever the case, for a ski season that felt like an abysmal “perfect storm” of sorts with regard to temperatures and precipitation, 2011-2012 in Northern Vermont can certainly be described as “surprisingly good”. 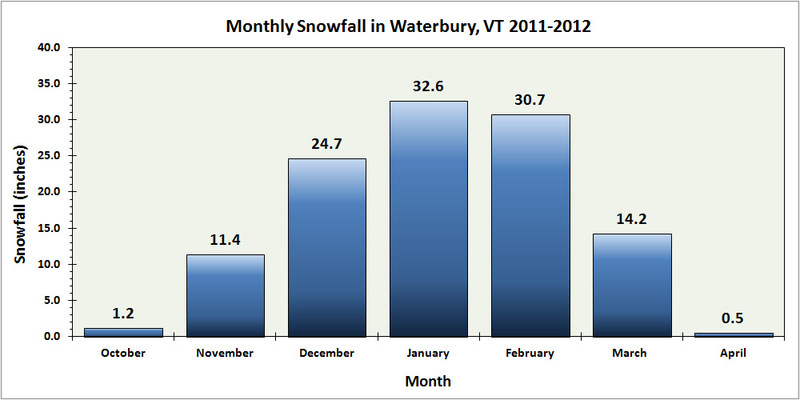 Snowfall at our house in Waterbury was relatively low during the 2011-2012 winter season, but the monthly distribution was quite symmetrical, peaking in January. 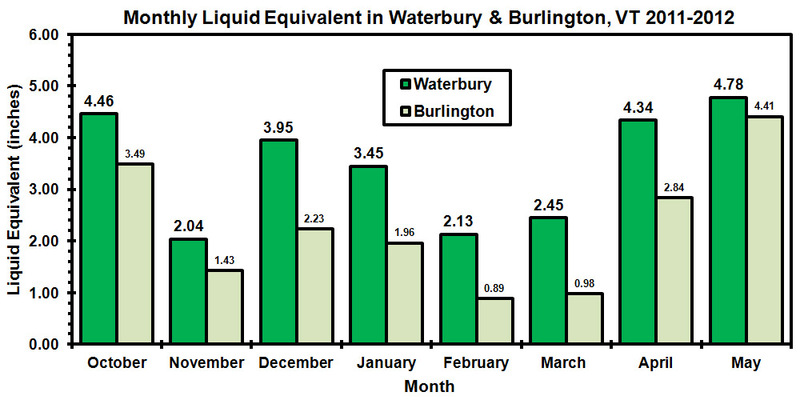 So although 2011-2012 will go down as our least snowy in the six years that we’ve been collecting snowfall here in Waterbury, the 67.0% of our 2006-2011 calculated average is relatively decent compared to the snowfall experienced at some of the first-order New England stations like Burlington (51.4%) or Boston (21.2%). These types of seasons happen, but next season is already closing in fast, and hopefully snowfall totals will be much improved. 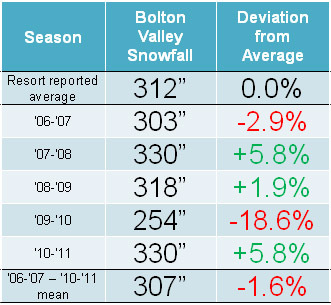 The next piece of information is our updated yearly snow/snowfall data table, with the 2011-2012 season now included. 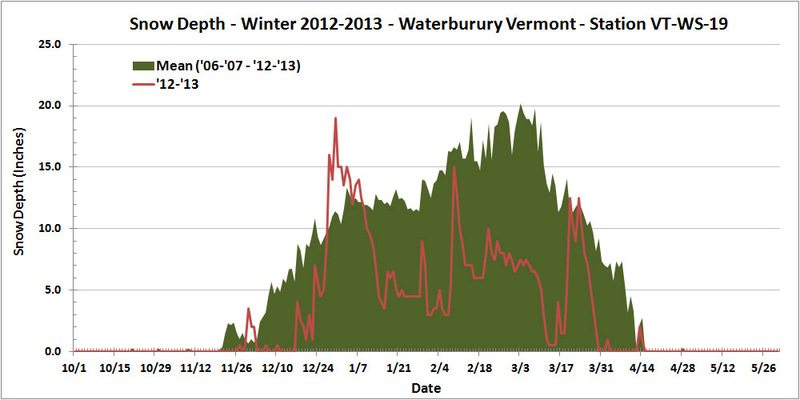 When compared to the previous five seasons, the 2011-2012 winter season at our house in Waterbury was the lowest in snowfall, maximum snow depth attained, and snowpack on the ground as assessed by snow depth days. 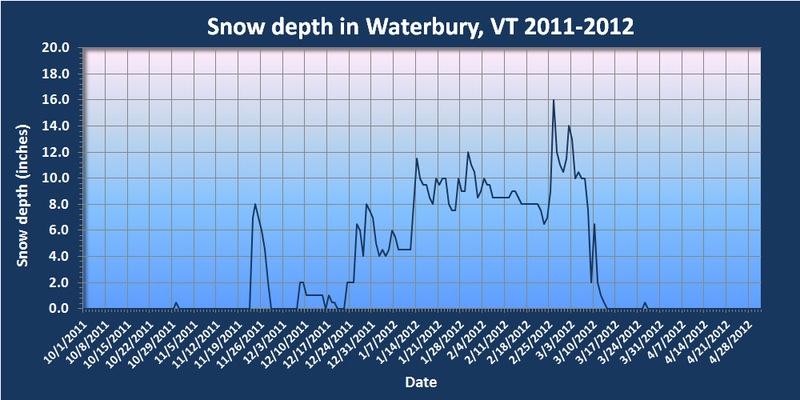 At our house in Waterbury, the 2011-2012 winter season featured a fairly meager snowpack that sat around the one-foot mark for much of the season, and topped out at just one and a half feet. 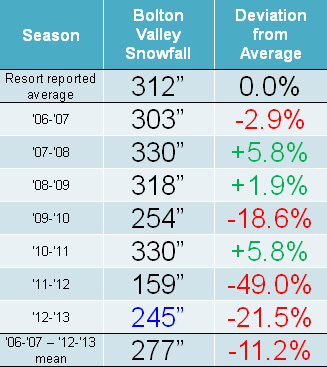 With only six seasons worth of data, the low snowfall this season did deal quite a blow to the overall calculated snowfall average, dropping it by almost 10 inches from up above 172 inches per season down to 162.7 inches per season. That’s probably Mother Nature at work getting to her real averages after some banner years. Even though two of the past six seasons have been up around 200 inches of snowfall, presumably that is going to happen only so often. As for the rest of the parameters that I track in the table, they were either right around or slightly better than average this season. An interesting note is that the number of snowstorms this season (45) was right around average, so naturally with low snowfall, the amount of snowfall per storm had to take a hit. Indeed, while the average amount of snowfall per storm is typically up around 4 inches, this season it came out at just 2.6 inches, so there were clearly a lot of systems that were weak on snow. This average snowfall per storm was a huge deviation from the mean (almost 2 S.D. ), so that must say something about the weather pattern during the past winter, even if I’m not exactly sure what it is at this point.